Add that perfect vintage feel to your nursery. The évolur Santa Fe Collection has all the earthy elegance of the Southwest. Its lines are fine and strong, much like those of the évolur Cheyenne collection. The ubiquitous dentil moulding gives this collection a sharp, unmistakable form. Complementary furniture include matching full-size double dresser, tall chest, hutch/bookcase and nightstand. 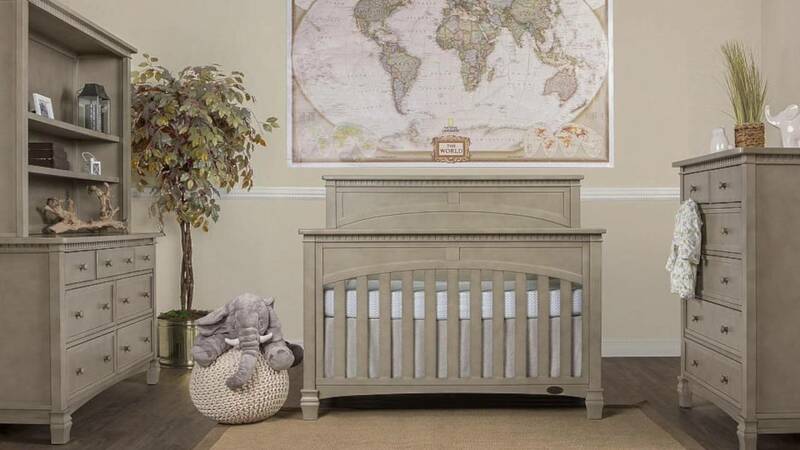 The évolur Santa Fe Collection lends a touch of warmth and bonhomie to your nursery.